Ethical & Glamour…. a juxtaposition of words! … Not two words you would necessarily put next to each other are they? Well why not? I would say the two words work very well together; in fact I have proved they work immensely well together here at Mooshy La La! La La Land right here on your doorstep! 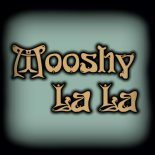 Escape from the kitchen enjoy a glass of Prosecco while browsing in the warm relaxing atmosphere of Mooshy La La’s Attique. Maybe even treat yourself to a little sparkly something for New Year!!!! Why Not??? ?